literacy | my heart is happiest when i travel. read. write. connect. Tonight, I re-watched Drew Dudley’s TED Talk entitled “Everyday Leadership.” In it, he talks about a girl who thanked him four years later for a moment that forever changed her life. She was scared about going to university, but when he came up to her wearing a goofy hat and passing out lollipops, she knew everything would be okay. She could do this. In his talk, Drew asks, “How many of you guys have a lollipop moment, a moment where someone said or did something that you feel fundamentally made your life better?” He goes on to ask if we’ve told that person that they had an impact on our life. It got me thinking about people in my life who’ve been instrumental in a big way. My lollipop moment was in 2006. I was beginning my third year as a teacher, in that shaky period where you feel like you sort of know what you’re doing, but you’re still second-guessing most of your decisions. I had spent my student teaching placement, as well as my first two years of full-time teaching, as a Grade 4 Math & Science teacher in a two-way split. Math was my jam. Always had been. I felt comfortable with numbers, with the one right answer aspect of it. Sure, there are many ways to get there, and I celebrated those, but at the end of the day, there’s only one right answer. Science was full of experiments, therefore it was equally exciting and engaging to teach (and for students to learn). I was comfortable in my niche, and I didn’t want it to to change. During this freak-out moment, Debbie Johnson came to talk to me. Debbie had been teaching Grade 2, and while I knew her from seeing her around the building and in faculty meetings, we weren’t really acquainted and weren’t yet friends. But that year, Debbie had been appointed to the newly-created position of Literacy Coach on our campus. She approached me, trying to assuage my literacy fears. Her idea was simple. I didn’t know how to be a reading and writing teacher. She didn’t know how to be a Literacy Coach (she didn’t even have a job description!). But what she did know was how to teach reading and writing well. Really well, in fact. So she proposed a plan. She’d come in everyday and teach alongside me, mentoring me through this newness in which I suddenly found myself. I’m not dumb, and I know a good thing when I see it. Through my tears, I took her up on her offer on the spot. Debbie and I began spending a lot of time together, planning, observing, teaching, assessing, reflecting, and crying (mostly me!). Using the gradual release of responsibility method, she held my hand as I launched reader’s and writer’s workshops in my classroom. She was in my room everyday for my entire afternoon (120 minutes) for at least a month. We used the First 20 Days by Fountas and Pinnell to guide us through reader’s workshop and Lucy Calkins’s Units of Study to establish writer’s workshop. She taught me how to teach guided reading, how to confer with my readers and writers, and how to take documentation on my students so that I knew them better as readers and writers. 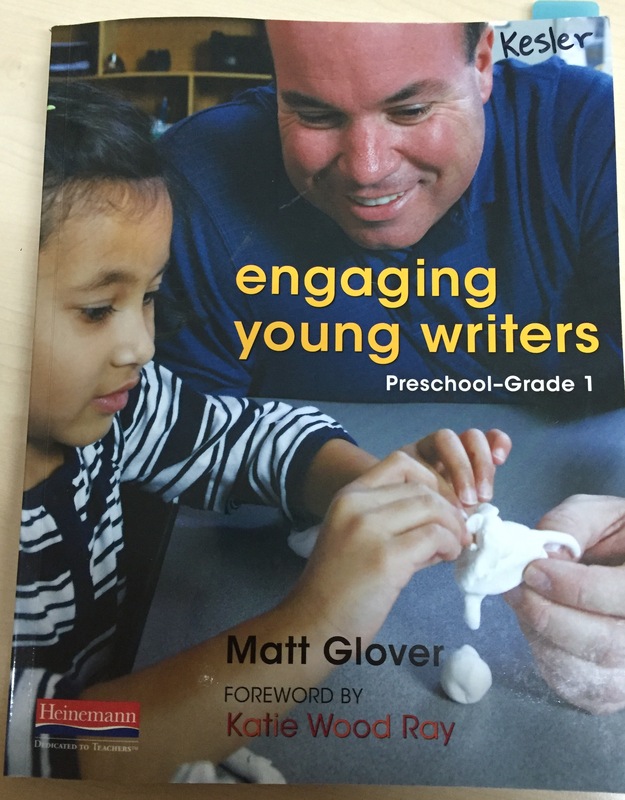 I learned to read and write alongside my students, using my writing and my struggles and triumphs as teaching tools. Following that first month of hand-holding, Debbie and I met regularly to plan and reflect. She continued to observe and coach, and she remained that steady person I could rely on. I was in her office nearly everyday, sharing successes and failures, worrying over my abilities, talking about my kids, and problem-solving. We forged an unbreakable bond. What we had was why Literacy Coaches exist. They are there to help and guide, listen and offer advice, nudge, but not judge. Debbie was all of that– and more. Sometime during that year, Debbie became my friend, my confidant. She knew more about me (professionally and personally) than most people did. I could trust her completely. We shared secrets. We laughed. We gave each other books that the other just had to read. That first year was hard work. I doubted myself. A lot. But you know what, I did it. Through the mini-lessons that flopped, the late nights spent planning, the tears shed, and the stress of planning and teaching 5 subjects everyday, I grew. I reflected often, refined my craft, and vowed to be better each and every day. The biggest lesson Debbie taught me was that to be a good reading and writing teacher, I just had to be a reader and a writer. I already possessed those skills. In my free time, I was a reader and occasionally a writer. I thought like a reader and a writer. I was passionate about it. All I had to do was show it to my budding readers and writers. All I had to do was be myself, letting my love of literacy and my passion shine through. Most of the battle is getting your students to love reading and writing. Once you’ve done that, anything is possible. My beliefs around literacy are rooted in that authentic work of readers and writers. Reading and writing should be life work, not school work. And this is how I approached it with my students. In 2006, Debbie Johnson was my lollipop moment. She met me where I was and coached me forward. In the years after, I went on to become a stellar literacy teacher, one whom teachers and administrators around the district came to observe. I was the teacher who ignited the writing flame in even the most stubborn of kids. The writing club I created for struggling writers was something every kid wanted to be a part of. 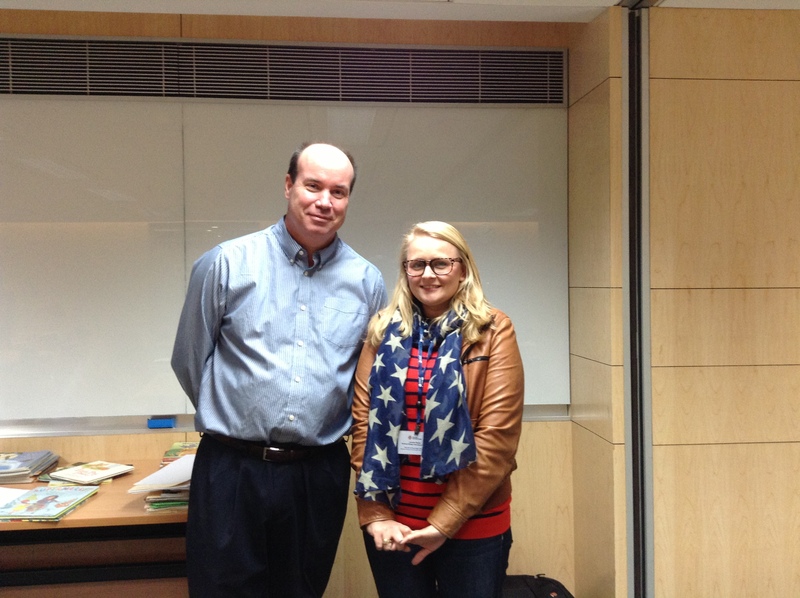 In China, I created a Literacy Coach position and was a coach for 2 years, eventually becoming principal. I shared my passion of literacy with others, and I made a difference. Looking back, I’m not sure my life would have turned out this way had it not been for Debbie Johnson. So Debbie, from the bottom of my heart, I thank you. This entry was posted in Slice of Life and tagged #slice17, #slice2017, #sol17, Debbie Johnson, literacy, literacy coach, lollipop moment, reader's workshop, reading, Slice of Life, Slice of Life Challenge, writer's workshop, Writing on March 24, 2017 by aggiekesler. It doesn’t matter how many times I watch this video, I fall in love with it every time. Lucy Calkins, one of the most inspirational and influential writers and writing teachers of our time, shares some nuggets of wisdom with writers the world over. She reminds us to read our writing like it’s gold. What a difference that makes. Honoring our words by reading them like they’re gold really does make the difference. Finding the parts that work and keeping them, and reworking the parts that need a little tweaking is how we improve our writing. And writing can change the world. Words carry so much meaning and depth and they have the power to move mountains. It makes me wonder how I will choose my words carefully, how I will change the world with my words. 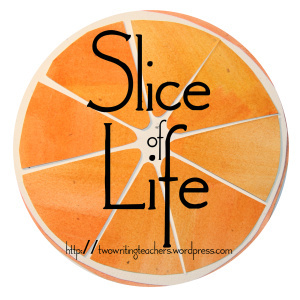 As I participate in the Two Writing Teachers Slice of Life Challenge, I am reminded again that writing can change the world, and that when we write, we share a little piece of who we are. So, no matter how rushed we might be when we write, no matter how much we think we could have done better, we must read our writing like it’s gold. All of us deserve to honor our own writing and the writing of others. This writing community has been just what I’ve needed this month, during what has proven to be the most difficult time of my life thus far. Thank you all for your comments. They may not have changed the world, but they have changed me, and I truly appreciate it! This entry was posted in Slice of Life and tagged #sol15, literacy, Lucy Calkins, Slice of Life, students, writer's notebook, writer's workshop on March 9, 2015 by aggiekesler.